VeryPDF PCL to Image Converter for Mac is developed for converting PCL, PXL, PX3, PRN, and SPL files to PNG, PCX, BMP and TIFF images. VeryPDF PCL to TIFF Converter for Mac is built for converting PCL, PXL, PX3, PRN, and SPL to TIFF. PCL converter, convert PCL to PDF, convert PCL to PS, convert PCL to EPS, convert PCL to TIFF, convert PCL to JPEG, convert PCL to PNG, convert PCL to TGA, convert PCL to BMP, and convert PCL to PCX. PCL to Image Converter for Mac is an excellent application which is able to convert the print file such as PCL, PXL, SPL, etc. to image formats such as BMP, PNG, TIFF, etc. It supports to set image page size by customizing width and height, set horizontal and vertical resolution, set color depth, etc. By using this application, you can also create Fax TIFF file which is faxable. It also supplies six kinds of compression methods to compress TIFF image if it is output format. VeryPDF PCL to TIFF Converter for Mac is a built-for-purpose tool for converting print files to TIFF images in Mac OS. 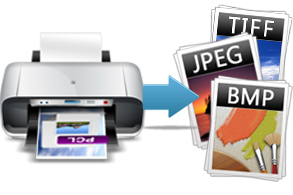 Supported input print file formats are PCL, PRN, SPL, PXL and PX3. It supports TIFF that can be directly faxed on computer. For converting PCL to common TIFF, it supports specifying image size, resolution, bit depth and compression algorithms. * Support Mac OS X 10.6, 10.7, etc. system. * Support to make batch conversion. * Support input formats: PCL, PXL, PRN, SPL, DAT, TXT, etc. * Support output formats: BMP, PCX, PNG and TIF. * Able to set page size in Pixel for output image. * Allow to set image resolution in DPI. * Support to create 1, 8 and 24-bit image. * Supply six kinds of compression methods for TIFF image. * Allow to create Fax TIFF file. * Support most of print file formats including PCL, PRN, SPL, PXL and PX3. * Support faxable TIFF output. * Support custom image size. * Support custom image resolution. * Support several color depths, e.g., 1, 8 and 24-bit. * Support various image compression methods. * Support batch process that converts multiple files with one click. How to convert pcl to jpg via a command line? This entry was posted in PCL Converter and tagged Mac OS X, PCL Converter, pcl to fax, PCL to image, pcl to pcx, pcl to png, pcl to tiff, prn to image, prn to pcx, prn to png, prn to tiff, px3 to tiff, pxl to bmp, pxl to image, pxl to jpg, spl to bmp, spl to image, spl to tiff. Bookmark the permalink.